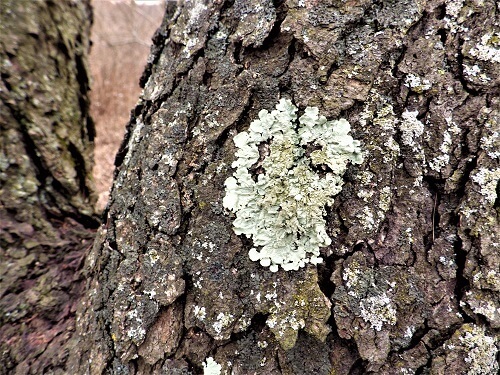 Lichens are dual organisms consisting of a fungus and an alga or a cyanobacterium. The fungus provides the alga with structure, protection, nutrients, and water absorbed from the atmosphere and the substrate (e.g., soil, rotten logs, tree branches). In return, the alga provides carbohydrates from photosynthesis to the fungus. 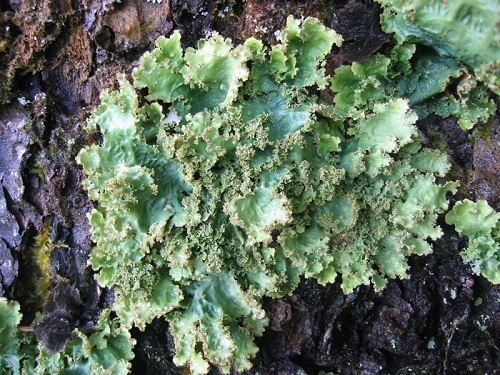 Algae from some lichens grow independently of the fungus, but in lichen form, the algae can inhabit more challenging environments than when growing alone. Tools for lichen collecting include two types of knives. A sharp knife like a buck knife and a serrated knife for sawing through bark for a well-entrenched lichen. A one-gallon plastic ziplock bag or two for carrying your lichens and garden gloves is also important. In a survival situation, you can just pull them off the tree, but you might tear more than a few if you don’t have a knife to cut them off at the base. It’s important to soak the lichens in vinegar for 30 minutes and then put them through continuous water soaks with water changes until the lichens lose their astringent taste. Taste as you go. You can also add baking soda to speed up the process. You then add the two cups of water to your saucepan and the Ramen soup broth packet. Cut the lichens into strips, and once the water has come to boil, add the noodles and the lichen strips. Pour into bowls and serve. Prep the lichens with a 30-minute soak in vinegar, followed by soaking in water and changing the water every six hours until the lichens lose their bitterness. A tablespoon of baking soda can speed up this process to neutralize the acids. Add the water and the salt to a pot and bring to a boil, and add the pasta until al dente. Drain the pasta plate. Toss with the Extra Virgin olive oil and then top with the parmesan cheese, lichens and a sprinkle of your favorite herbs. 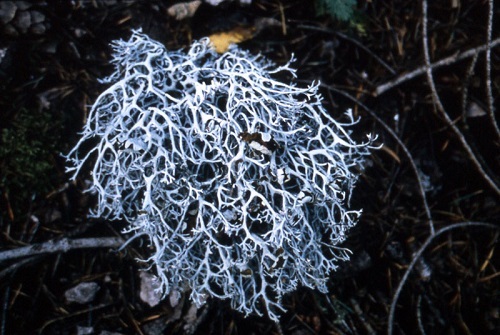 Whenever you harvest a lichen, get on the Internet and identify the species. It’s good to get some knowledge and experience before you find yourself lost in the woods. The good news is that they’re not as dangerous from a toxic standpoint like mushrooms–but you never know. You should also not give them to children until an adult has tried it and had no side effects.